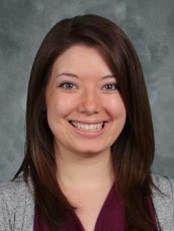 Mrs. Hayes is starting in her third year of teaching at St. Mark. She graduated from IUPUI 3 years ago and is enjoying every moment of growing in her faith with her Second graders. Mrs. Hayes and her husband welcomed their first child Jason this summer and are excited for their future Lion to attend St. Mark. 1 Timothy 4:12 "Let no one have contempt for your youth, but set an example for those who believe, in speech, conduct, love, faith, and purity."